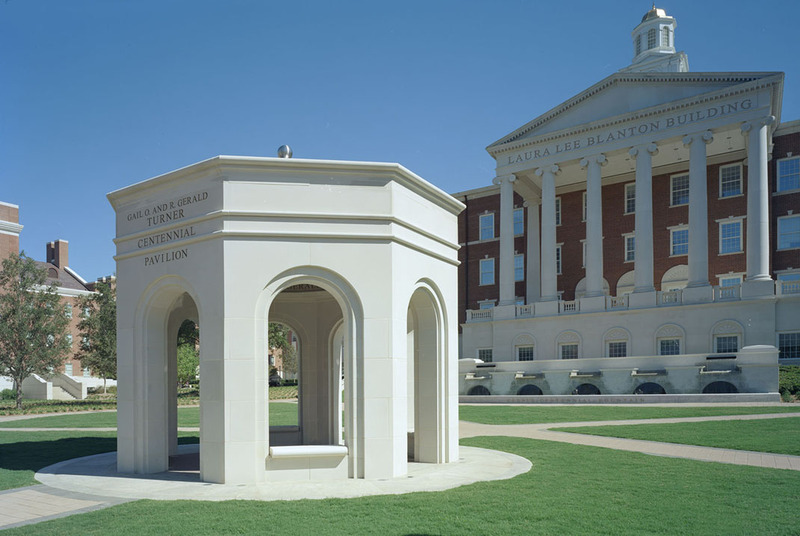 To represent the SMU Centennial, the architecture of the pavilion embodies the mathematics of canonical architecture and the merging of a cube and a sphere. 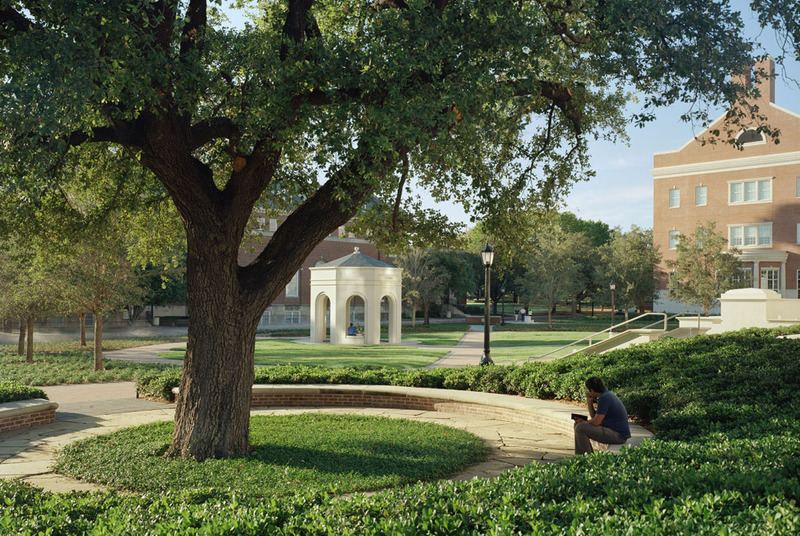 The octagonal form mediates the cube and sphere while acknowledging the building’s position as an object seen in the round. 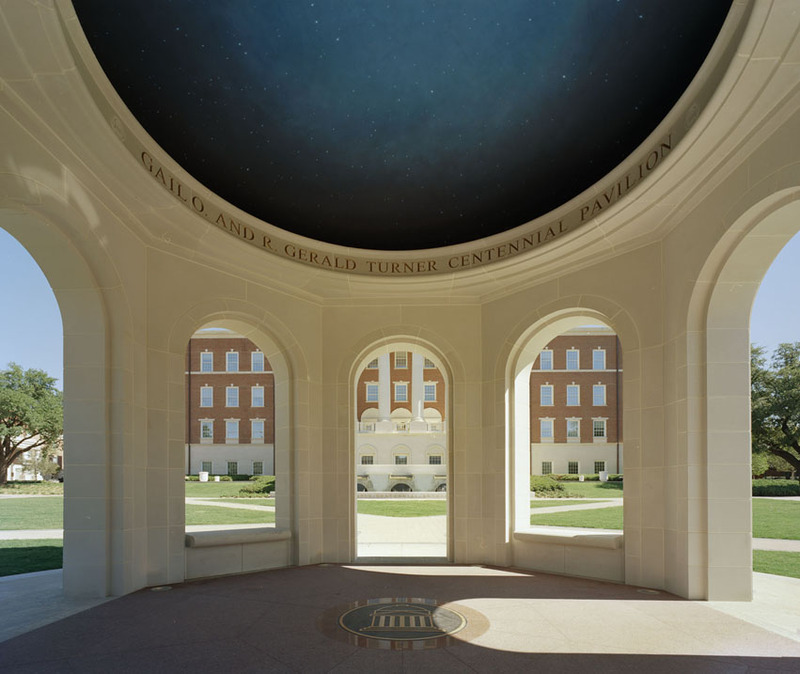 A bronze medallion of the University Seal is set into the granite flooring to mark the center of the building, the center point of the sphere and the radius of the interior dome. 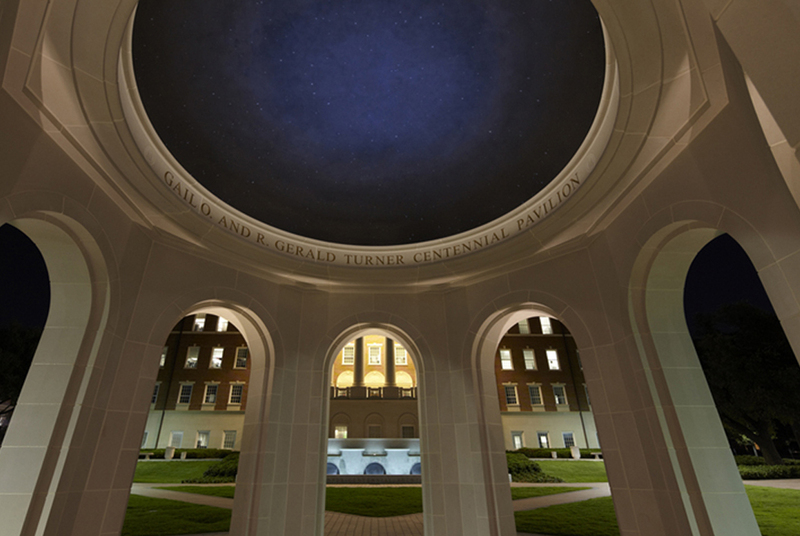 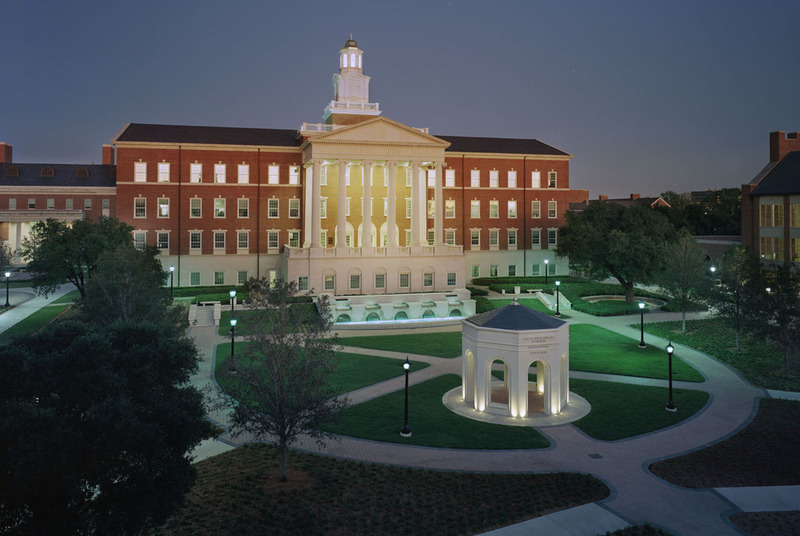 The dome is a celestial theater symbolizing the foundation date of SMU using a hand painted mural of the stars seen on April 17, 1911. 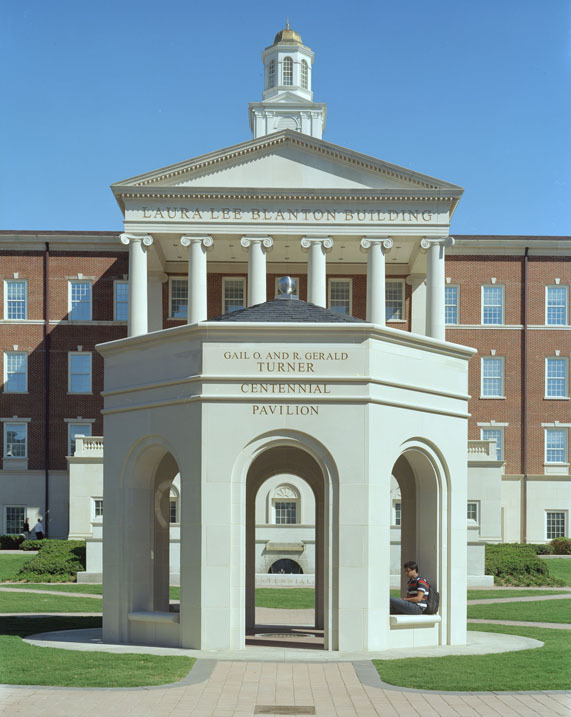 A titanium finial is the mark of the 21st century and completes the granite and cast stone palette of the pavilion. 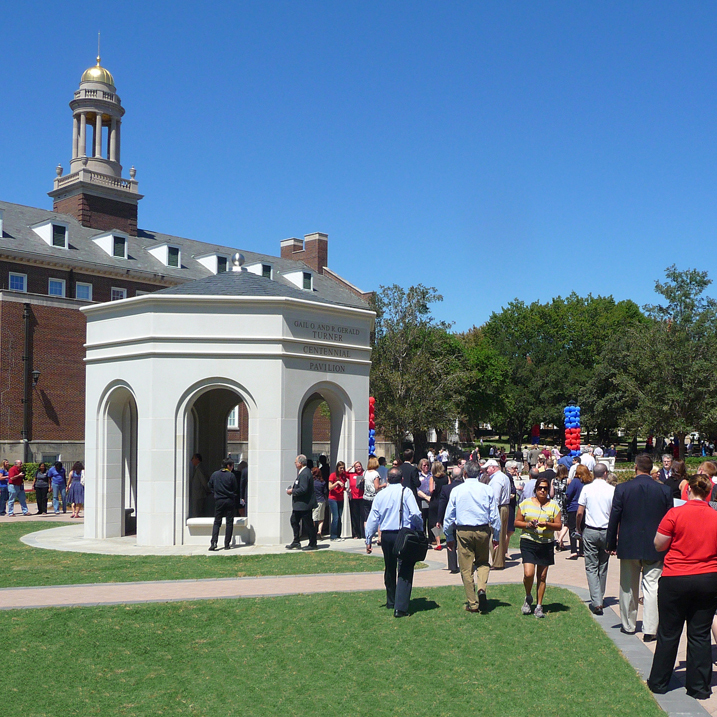 Kevin Sloan Studio master planned the quad and designed and implmented the landscape, fountain and pavilion.